This Reference Article defines and explains the topic of how to retrieve data used in labels (e.g. serial numbers, manufacture dates, etc.) from LABEL ARCHIVE for labels printed. 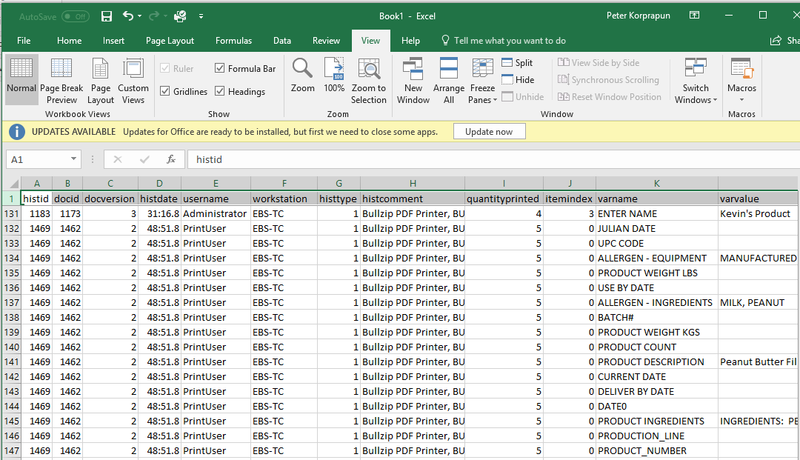 Note: this article assumes that you have a working knowledge of LABEL ARCHIVE, Microsoft Excel,SQL Management Studio and have basic understanding of database concept. 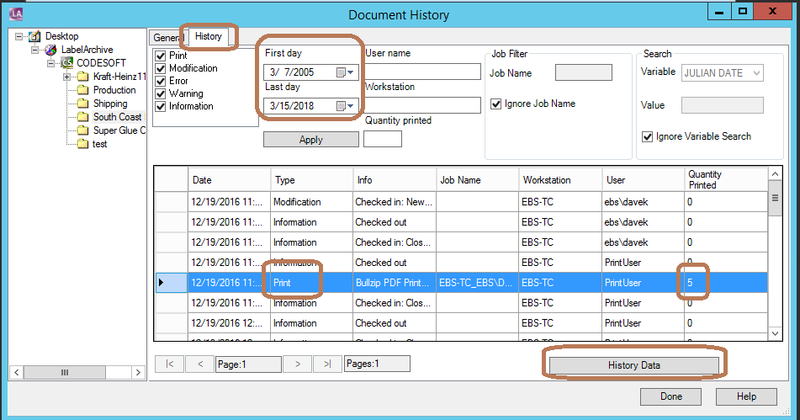 Make sure that you select proper date range, and select the record on with the type Print then click History Data button. You will see the data that was used to print the label(s). Unfortunately, the information display on this window is for viewing only. You cannot copy or export it. The method above is sufficient is you just want to view small set of information. If you need to get list of all variables for label printed during a certain time frame, there is an alternative. This alternative is, however, a bit more complicated and requires some knowledge of SQL. Delete existing data from the export destination, tbl.HistoryVars, table. 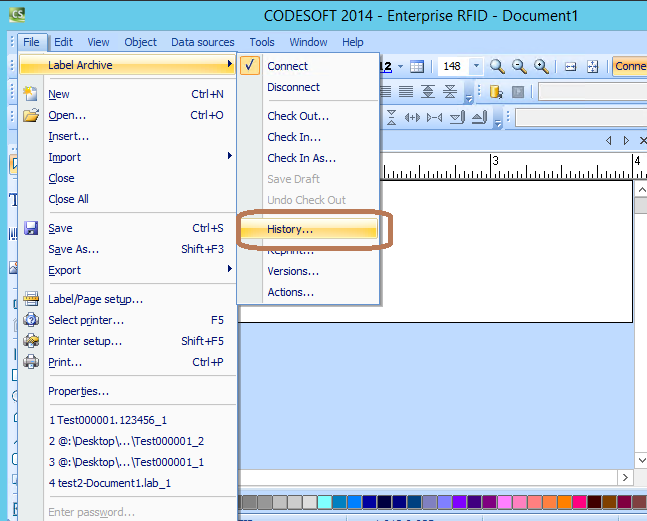 In the new query window, enter the following command (you can copy and paste) and click on Execute.. Please exercise extreme caution when entering the command since it will delete everything from a table. Incorrect table name will most likely resulted in to a corrupted system. If you are not sure, please request assistant from IT professional. From LABEL ARCHIVE Server Administration, select Tasks/Export variables data. Select the proper date range and click Export. You will get “Do you really want to export variables data?” message. Click Yes. You may question – Why did it not ask me we to export the information? It is a fair and valid question. 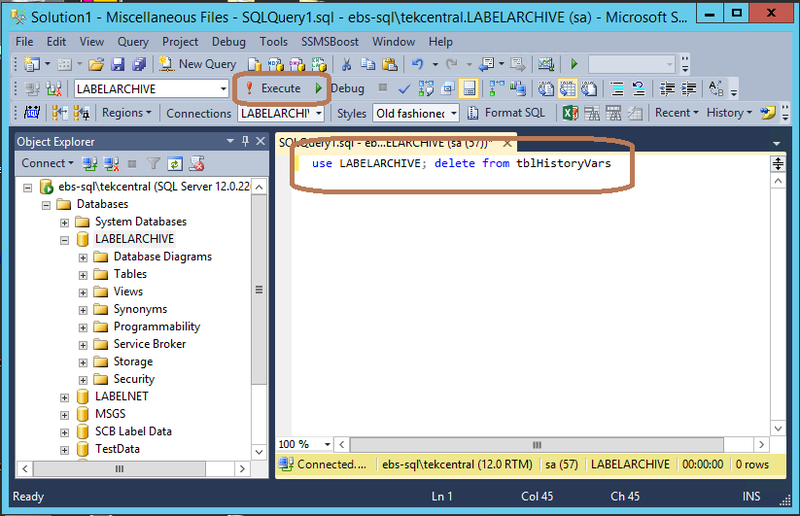 The program exports the information into the tblHistoryVars table in the LABELARCHIVE database in SQL. This may seems odd but the reason will become clear in the next step. The information that LABEL ARCHIVE Server Administration console exports only contain HistID, ItemIndex, VarName and VarValue. By themselves, they do not have sufficient information. We need to combine it with another table tblHistory. 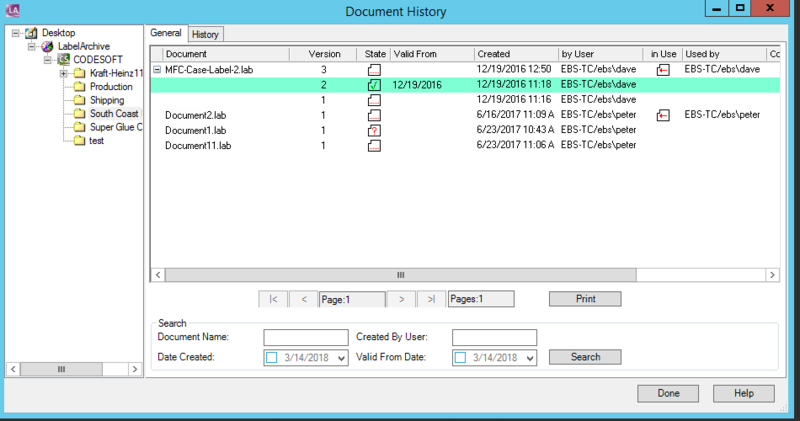 The SQL statement in the steps below joins the information between the 2 tables (tblHistory and TblHistoryVars) to produce a more usable output. HistID Sequencial number assigned for each ‘group’ of printed label. ItemIndex number sequence number of label printed in the same request. For example, if QuantityPrint is 5, the ItemIndex for this print job will range from 0-4 (it starts at 0). Once you are familiar with the process, you can adjust the SQL statement in step 4 to better fit your requirements.